Mary’s Rooster is an old favorite, and is named in honor of a friend who once raised chickens. This pattern is exclusively for sale at Fiddlesticks Quilt Shop. 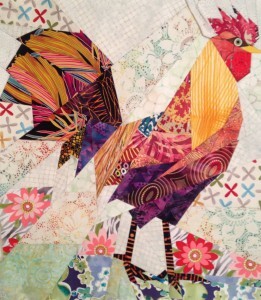 My pattern Gallus gallus is a similar design that has less piecing.